The training was facilitated by Miguel Tello. 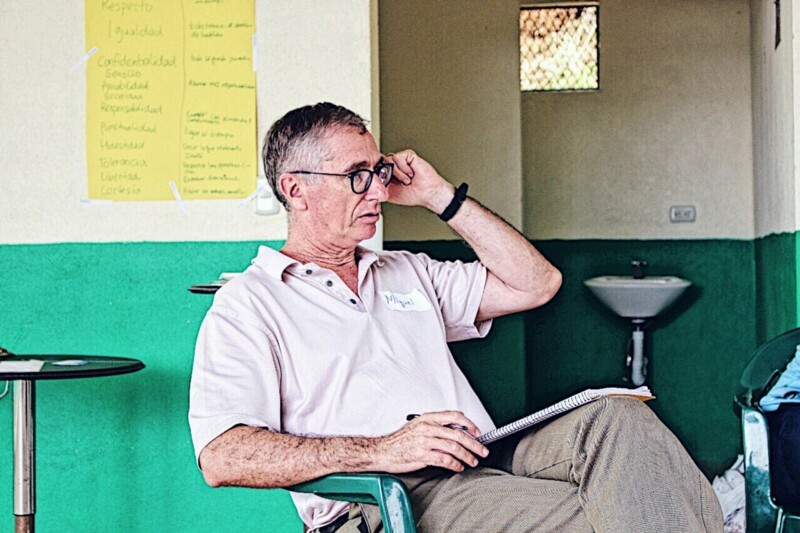 He is the Executive Director of the Strachan Foundation and is on the Board of Trustees for the International Institute for Restorative Practices. 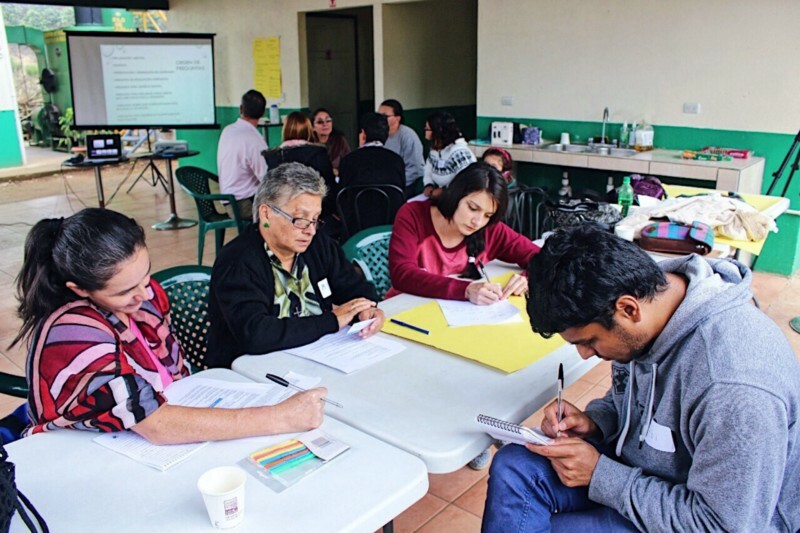 Miguel has provided restorative practices training for schools and organizations in Costa Rica, Nicaragua, Guatemala, Panama, El Salvador, Peru, Cuba, and Chile. 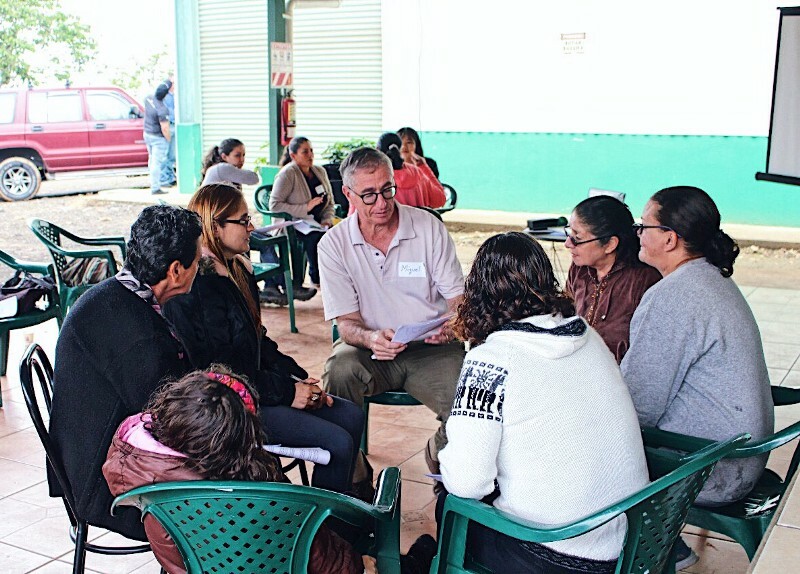 He has trained judges, prosecutors and defense attorneys in the use of restorative conferences as part of the Restorative Justice Program of the Supreme Court of Costa Rica. 6:30 am — our team (consisting of Sunghee, Abhinav and Jasmin) departs San Jose for a two-hour bus ride to Frailes. 8:15 am — surprisingly, there wasn’t much traffic so we made ahead of time! 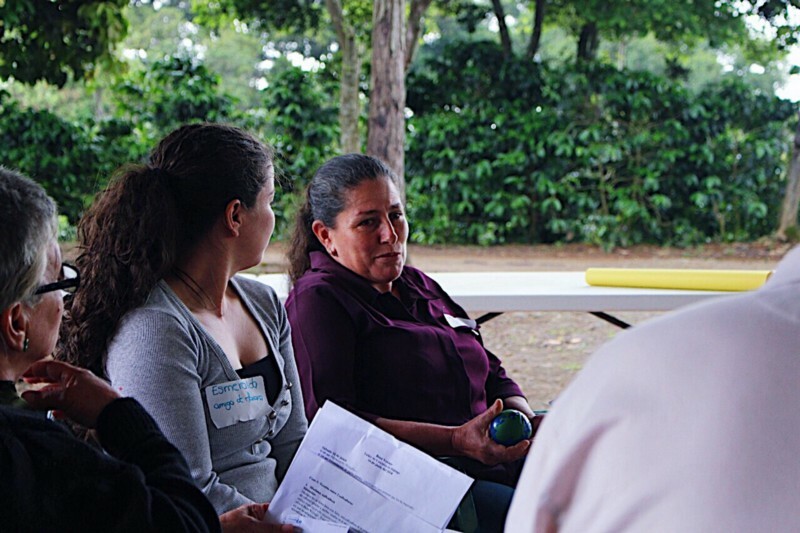 We gathered at Centro Agricola Frailes (CAF) — our partner organization in Los Santos, Costa Rica. 8:30 am— We’re joined by Alex and Marlon, both helping us set up the room and logistics for the day. Due to our limitations, we haven’t been able to build our own training centers yet, so we truly appreciate the support of community based organizations like CAF. They have allowed us to use their space and resources to organize our training programs! Soon, we’re joined by our trainer, Miguel, who brings all the equipments and resources for the day! 9:00 am— Most of the participants arrive on time, and our trainer Miguel starts off by setting objectives for the day. We start with a round of introductions and a task — think of someone who has inspired you in life and the reason. Miguel, then asks the participants to describe how that person has reacted when they did something bad. They shared their memories of their parent(s) being strict, understanding or different forms that they have shown. 9:30 am — We then spent the next few hours learning about the concept of social discipline, answering questions such as how we can become restorative people. We learned about restorative theories coupled with theatrical exercises. We were then asked to explore the question: what needs to be done for the person to respond to the scenario in a restorative way? 10:20 am — We explored restorative questions that can help us seek restorative solutions to conflicts. 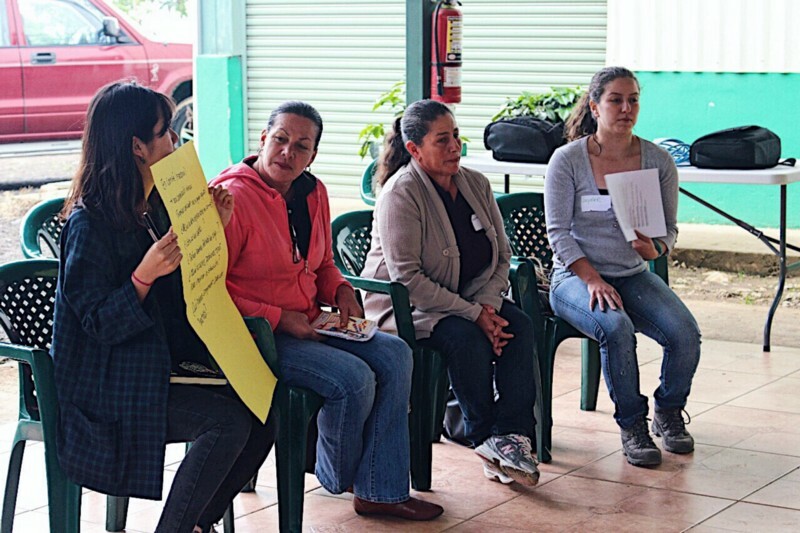 This was extremely interesting to learn about different scenarios that could come up at work and at home — especially as our farmers formerly mentioned the challenges that they faced at their home and also while managing farm workers. When can we use circles? When can we not use circles? We were then divided into the small groups to then read specific scenarios where circles could be used to deal with specific challenges that are faced by smallholder women in their communities. As a team, they all brainstormed questions for how they can lead a circles process to deal with the problem. 12:15 pm: We were served some traditional Costa Rican lunch by Vanessa and her mother. Some rice, beans, picadillo, chicharron and some fresh natural juice. Yum! Scenario # 1: Two women both decide to sell their coffee to the same market — e.g. local market. The qualities are similar, and so are their strategies to tell their stories. There exists unspoken tension between the two because they perceive it to be a direct competition. It becomes awkward between them as they need to collaborate with one another to attend different workshops to further improve their qualities. Scenario # 2: Women participate in workshops organized only for women. Although the purpose of the workshop is for the women to create a safe space to share their thoughts and the platform to reduce the gaps that exist due to the societal structure, the male members of the family raises the concern saying it is a discrimination against them. Each scenario was based on challenges that we had witnessed in the past and was an excellent opportunity for everyone to think of solutions and restorative measures to deal with them while also think of challenges that they might be facing with their own businesses and relationships. 3:45 pm Reflections — all participants shared what they learned and how they plan to use these lessons in the coming years to deal with familial and community-based conflict. We then concluded with updates for the weeks ahead, hugs, and lots of hasta luegos (see you later)! Thanks to Miguel Tello for leading a transformational day that promises to bring a great deal of change in the way that our participants are able to deal with conflicts on a personal and communal level. 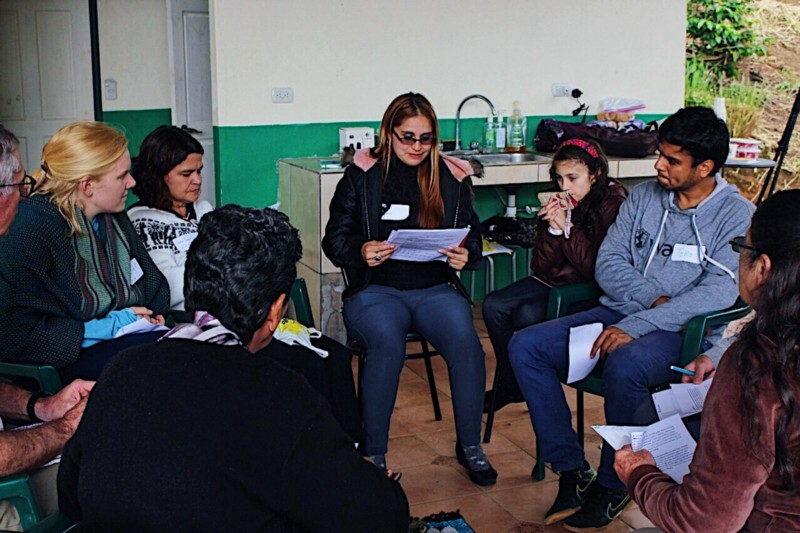 In fact, Ana Lorena, who is leading a community group vouched to use this method for one of her group’s meetings in the coming weeks! We are excited to share more of our reflections from the training this year!